git,\'thē\rē-'akshen\ - the resulting audience emotion or action to well thought out and designed visual media; your desired reaction. Renee Reeves is a graphic designer with over 11 years experience in printed and digital media. 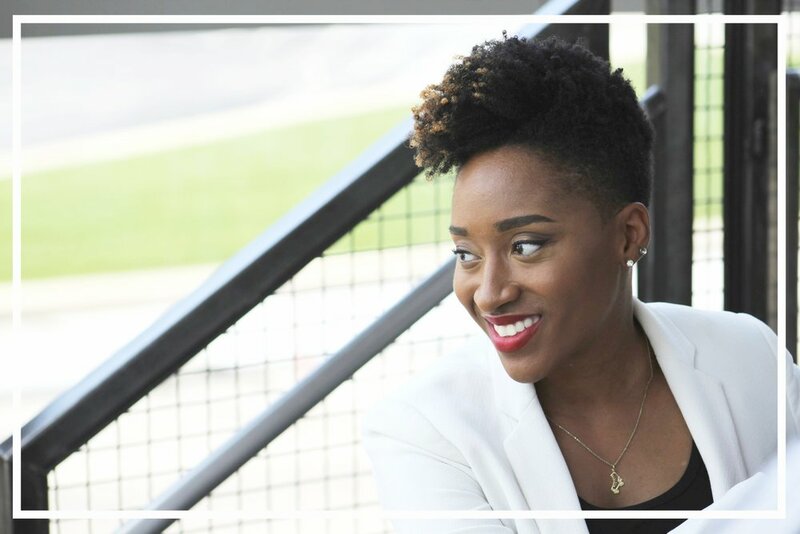 Procuring a large billboard design with Kansas City Public School District, jump started her career which has been full steam ahead every since. From working with world renowned Jazz Vocalist Deborah Brown to working with one of the Nations top 6 African-American weeklies "The Call Newspaper" Renee continues to grow and hone new and existing skills. Being that Renee has always been a visual thinker it was no surprise when she decided to learn American Sign Language as a second language and when she’s not enthralled by her latest design project she enjoys burning off some energy at the gym or on a long run. She’s currently working on a apparel line launch with a long time client in Atlanta, Georgia. Want to work with Renee visit her Connect page. Renee gets you, your desired reaction!